29 January 2009 was a special day for us. It marked the establishment of Swedish Modules, following Pharmadule i Emtunga’s decision to relocate its entire production of modular pharmaceutical factories to Estonia. 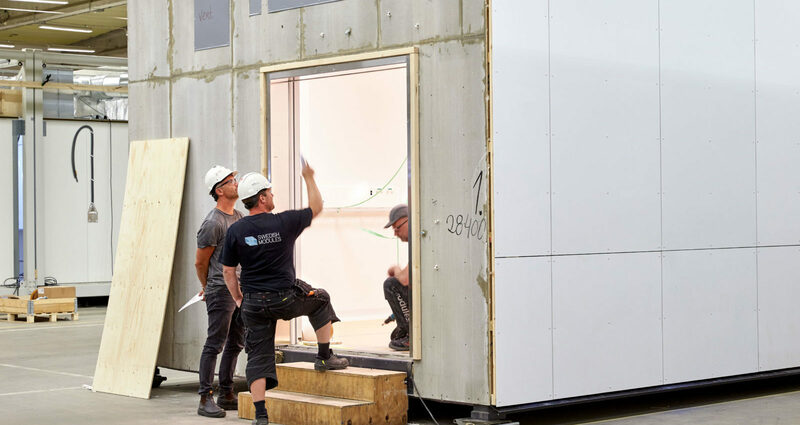 Alongside Svante Andersson, Sven Lans and Joachim Stomberg, both of whom worked at Pharmadule, decided to start up Swedish Modules and continue production of modular structures, bringing with them 13 of their former employees. A lot has happened since then, and Swedish Modules is today proud to deliver unique and complex modular structures such as operating theatres and datacenters. Over the years, the company has delivered upwards of 3,500 top quality modules to more than 30 countries from its factory in Emtunga. What have these 10 years been like? Any highlights? “I’m also proud that we’ve now taken the step towards investing in modular constructed datacenters. Recruitment of specialist expertise in the field has allowed us to pursue strategic investments in an exciting area which simply keeps on growing,” he adds. What gives you the drive to keep moving forward? What is the biggest different between 2009 and the present day? Looking 10 years ahead, what do you see on the horizon?